Strike King KVD Fat Baby Finesse Worm - Watermelon Red Flake. A super soft, salty soft bait loaded with coffee scent, which masks human scents and oils. 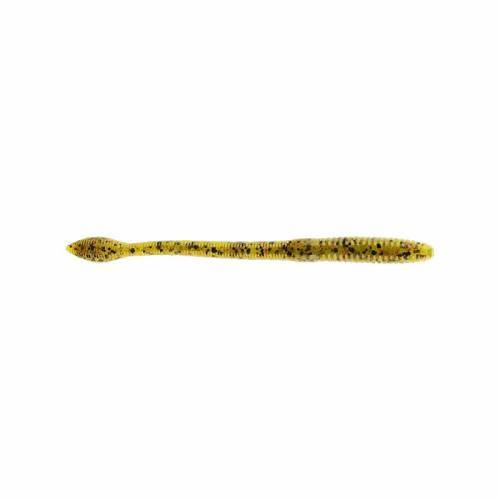 Shorter 5" length with a slightly bigger body size compared to the traditional finesse worm. Oversized bulbous tail provides more water displacement and allows deadly action. Designed with the help of Kevin VanDam to be an excellent choice on a shaky drop, drop shot or even rigged in multiple ways. Assorted colors available. 12 per pack.